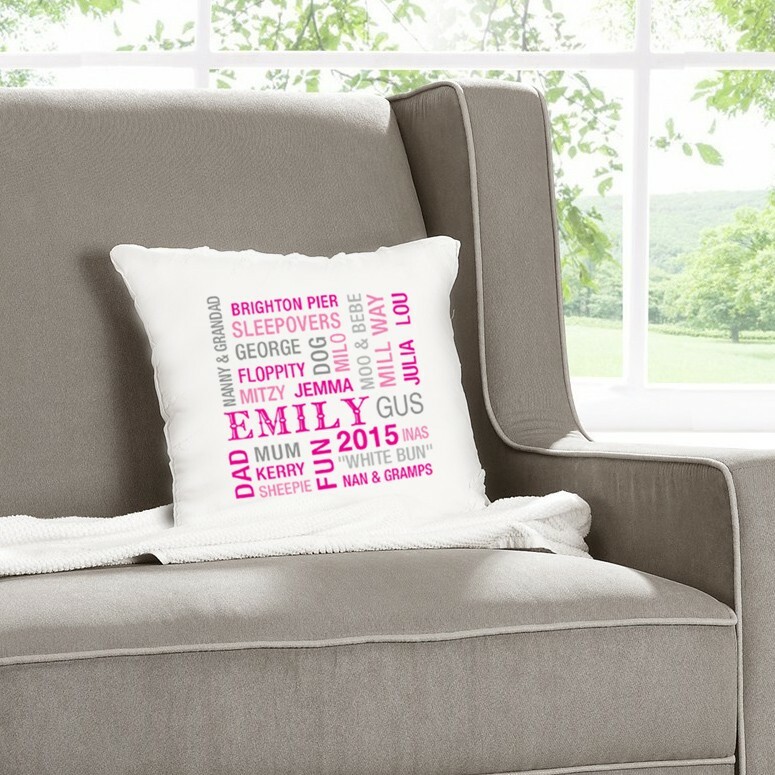 A stylish Personalised cushion, to celebrate any occasion, personalised with 20-25 words or phrases. 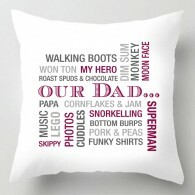 The main word in the middle can be a name, Our Dad, Our Mum or anything you like, all the words are arranged to create a word cloud. 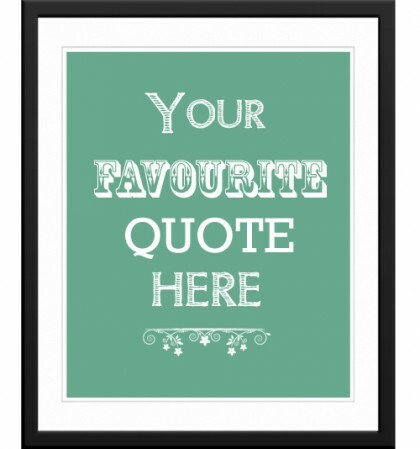 You can also choose the colour. A proof is sent for approval before printing. Please separate the words with commas. 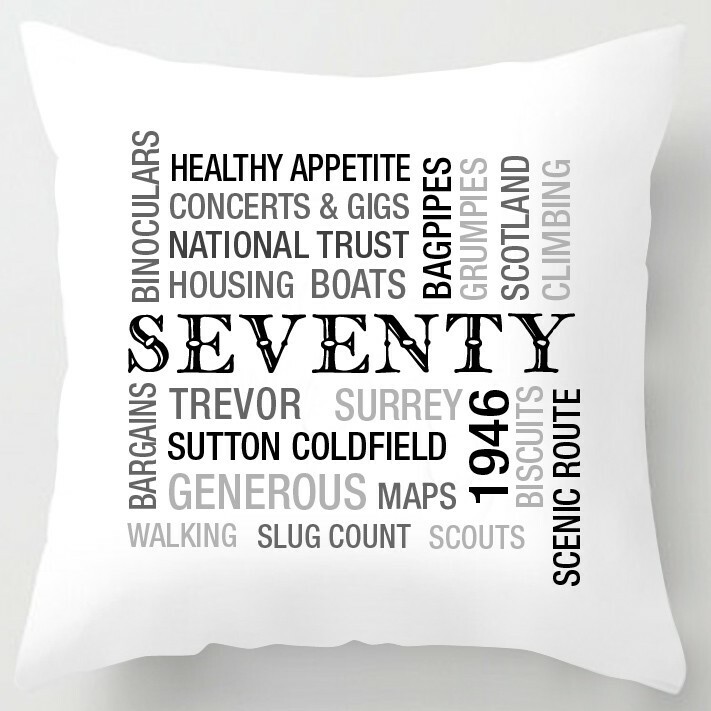 Then colours shown are examples, if theres a particular colour you'd like or a background colour on the cushion, please ask, they are completely bespoke to you. 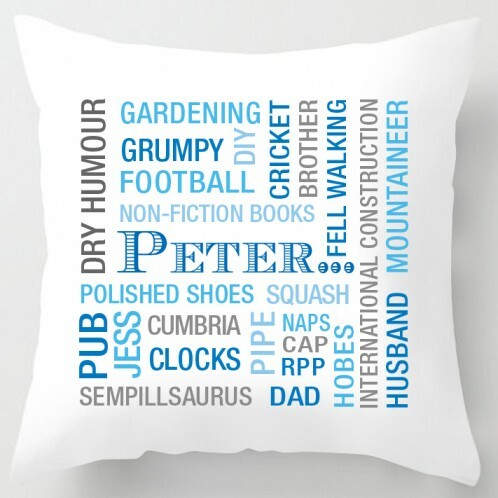 A stylish Personalised cushion, to celebrate any occasion, personalised with 20-25 words or phrases. 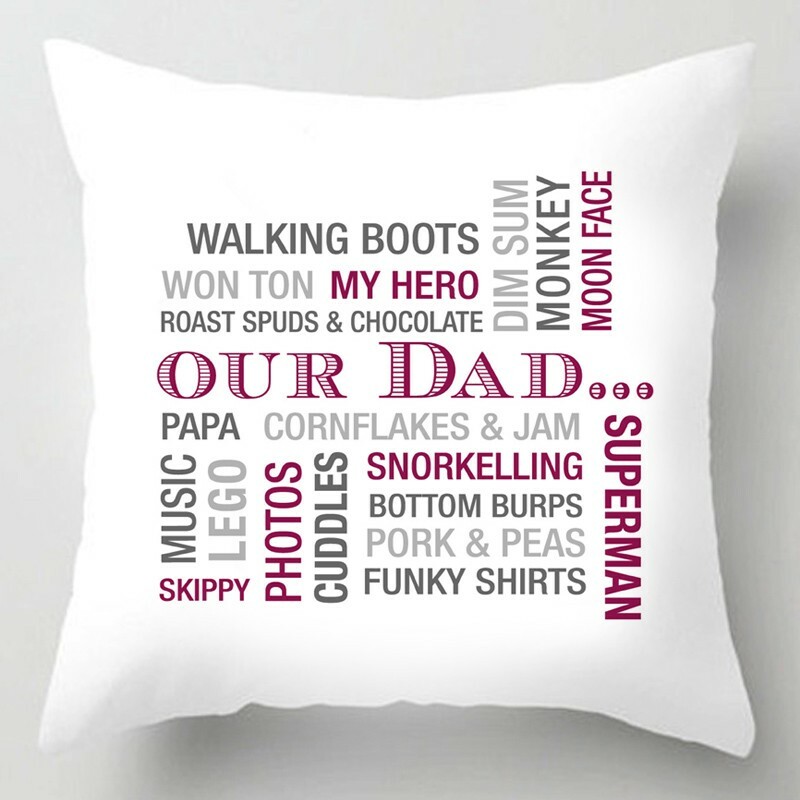 The main word in the middle can be a name, Our Dad, Our Mum or anything you like, all the words are arranged to create a word cloud. 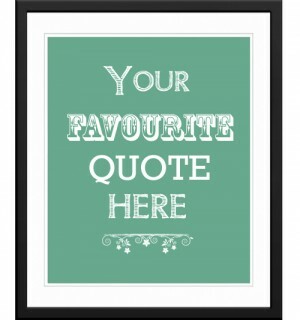 You can also choose the colour. A proof is sent for approval before printing. Please separate the words with commas. 17 x 17" Printed on a soft suedette packed with a plump cushion inner. 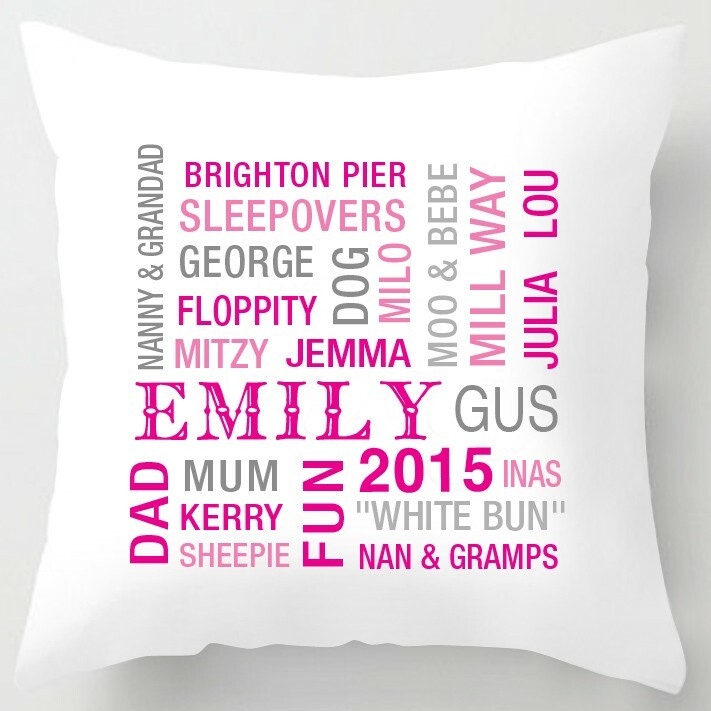 • Handmade quality finish • Machine washable • Digital colour printing • Durable • Non Fade • Retains Shape Then colours shown are examples, if theres a particular colour you'd like or a background colour on the cushion, please ask, they are completely bespoke to you. 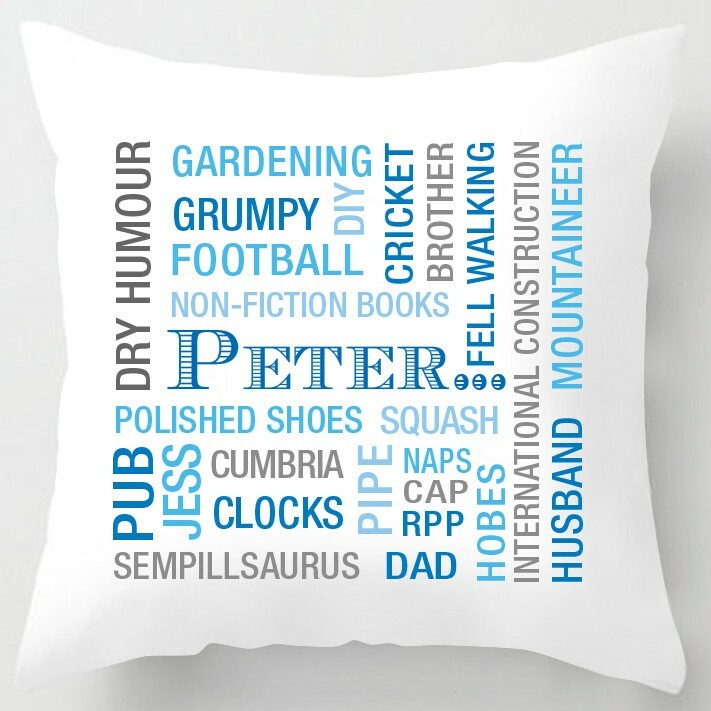 Ordered as a gift for a relative as have previously bought a personalised word art canvas which I had been really pleased with. 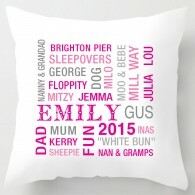 The first draft of the personalisation was available within 24 hours. 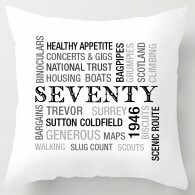 I made a few final tweaks to the wording and then it was delivered 2 days later. 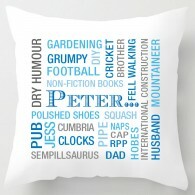 The recipient was really pleased as it was such an original gift for a significant birthday. 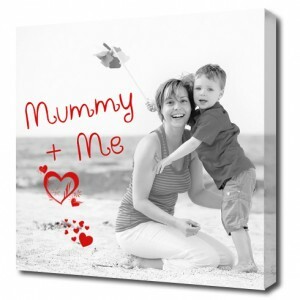 On both occasions the staff were very helpful and provided a great service. Would definitely use them again in future.